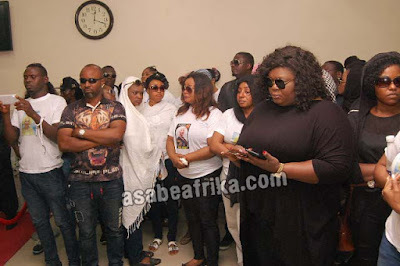 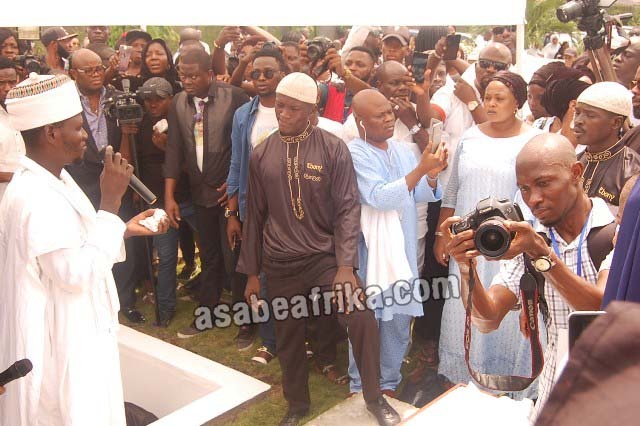 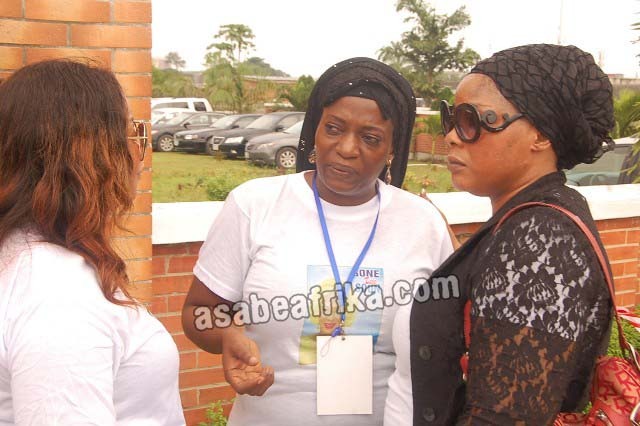 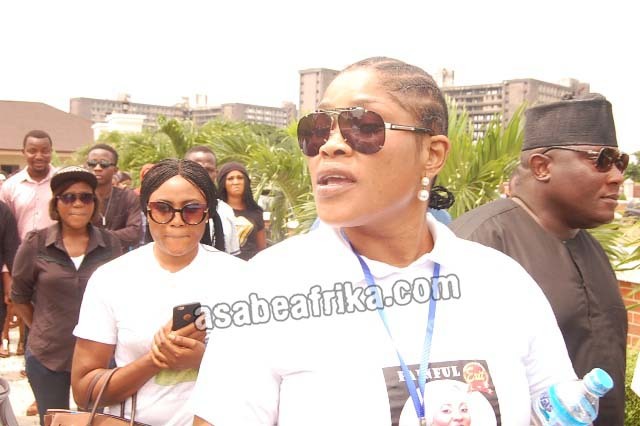 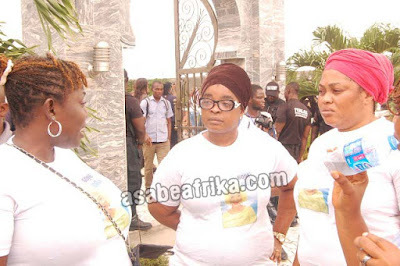 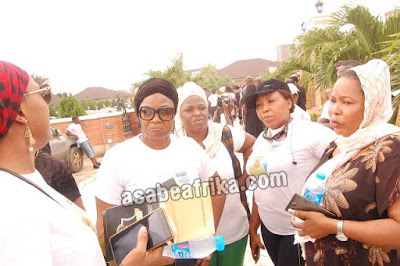 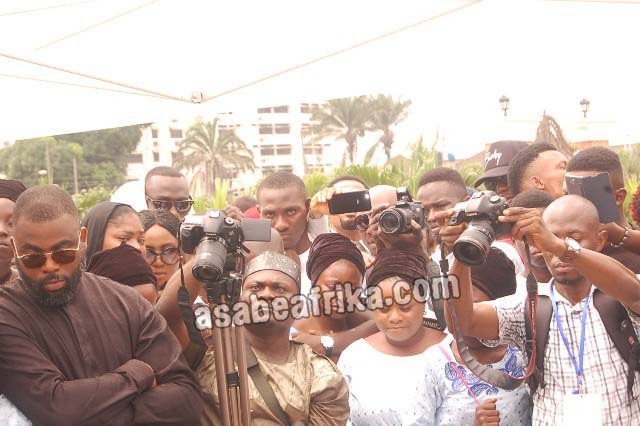 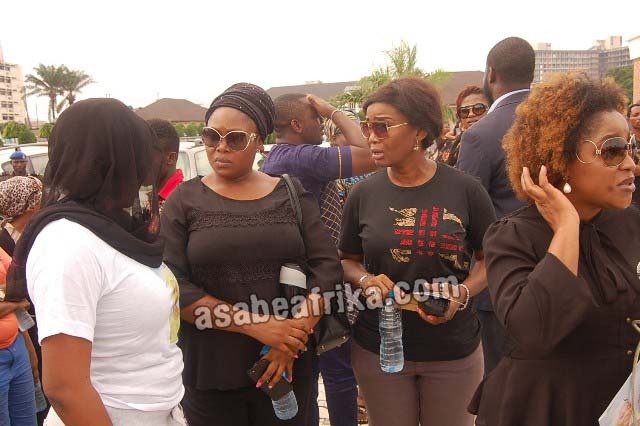 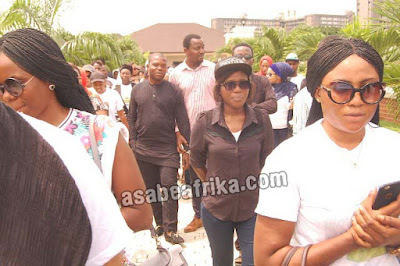 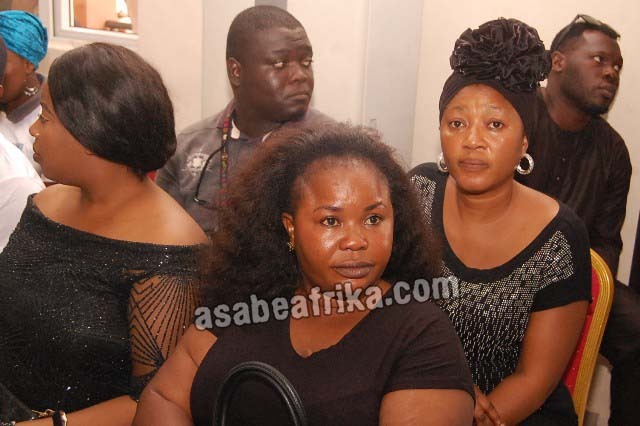 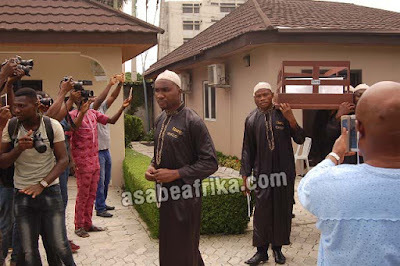 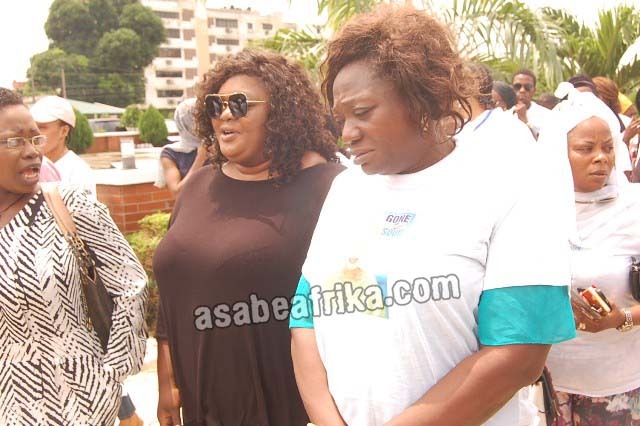 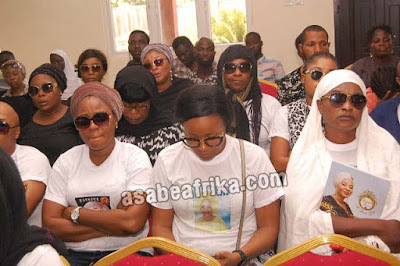 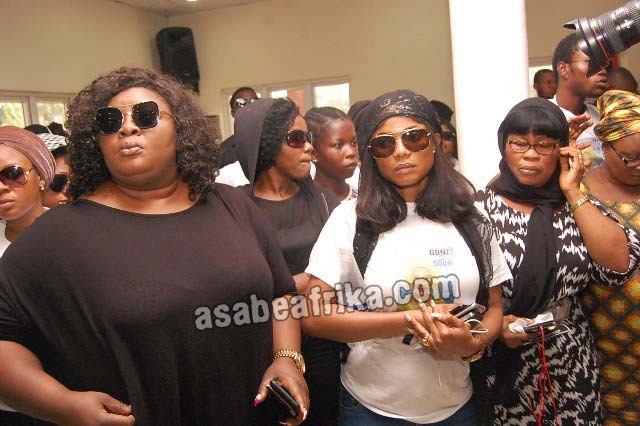 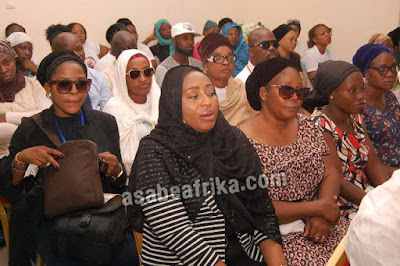 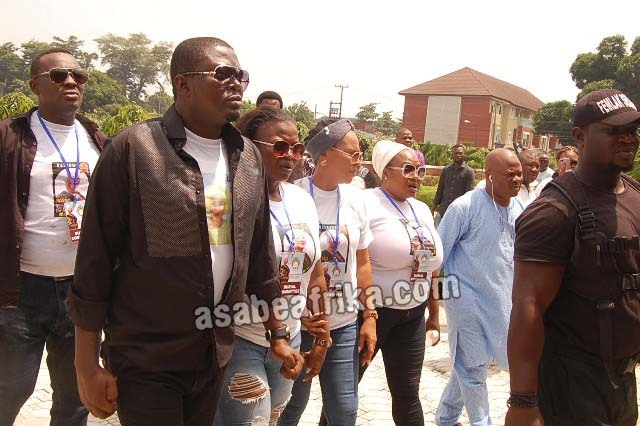 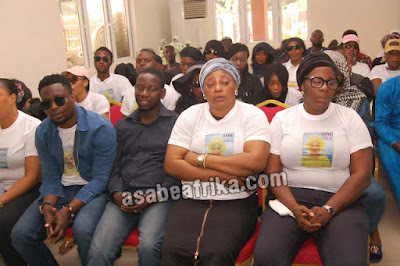 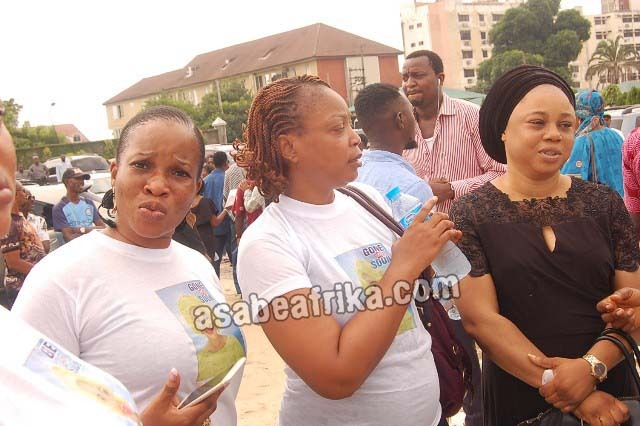 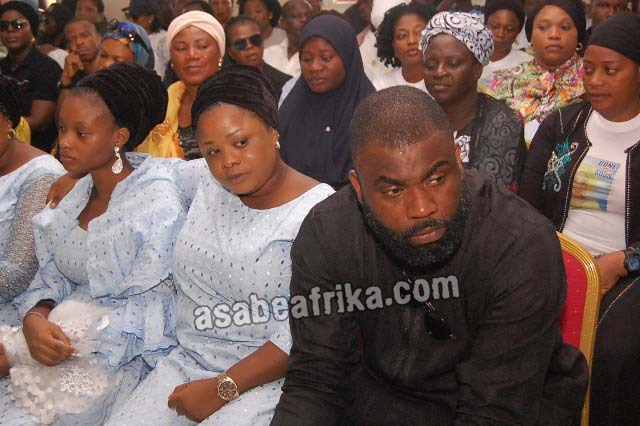 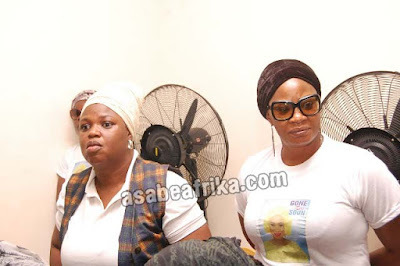 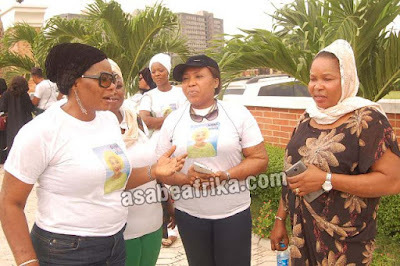 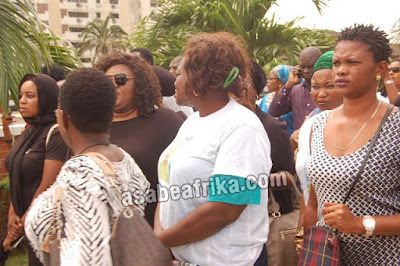 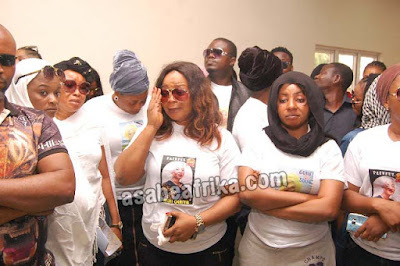 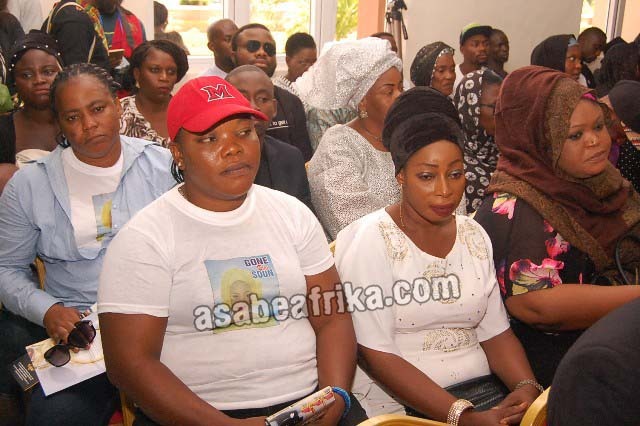 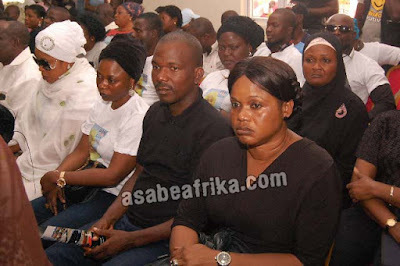 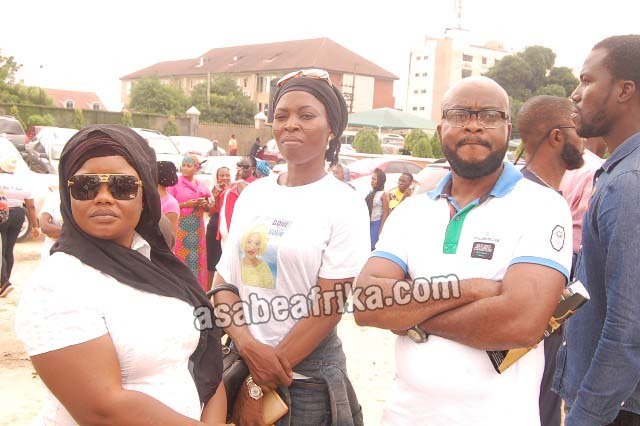 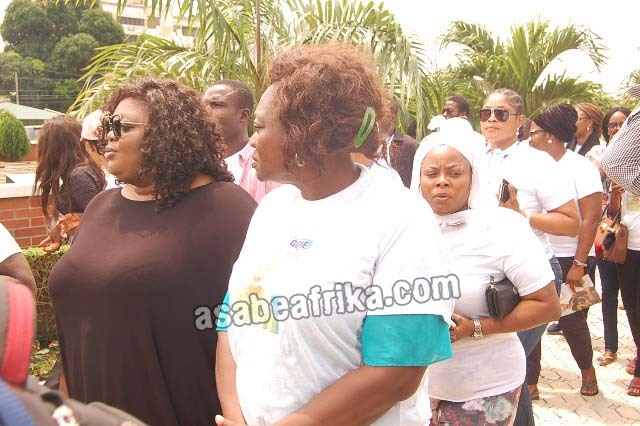 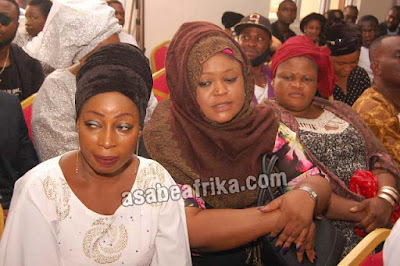 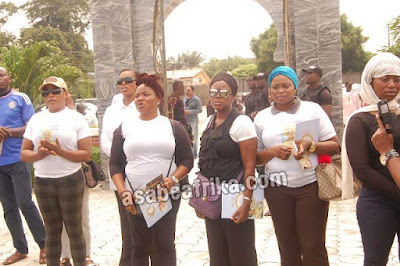 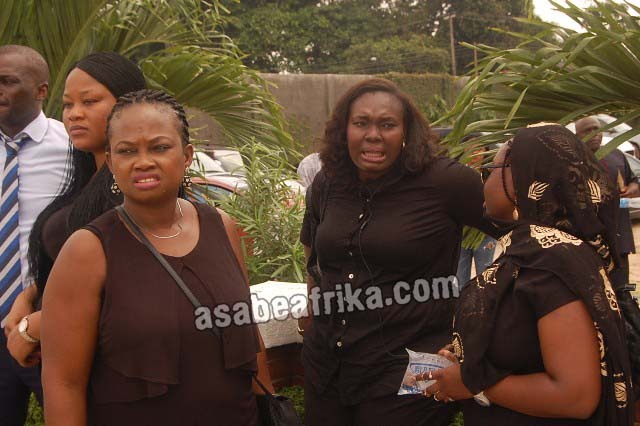 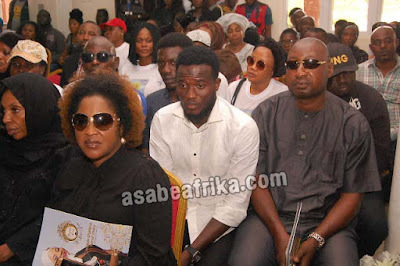 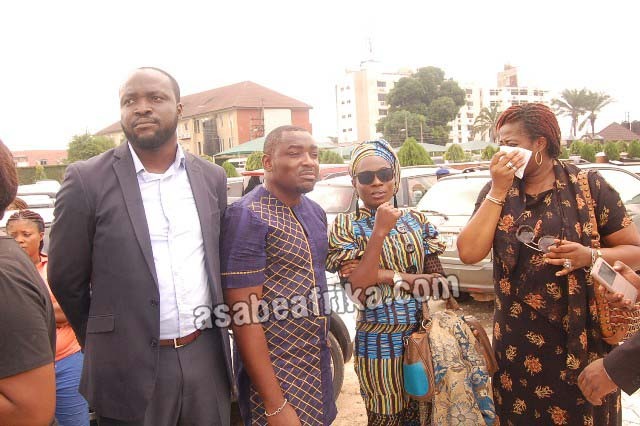 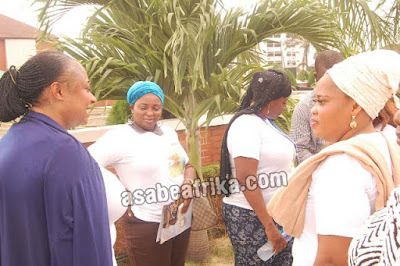 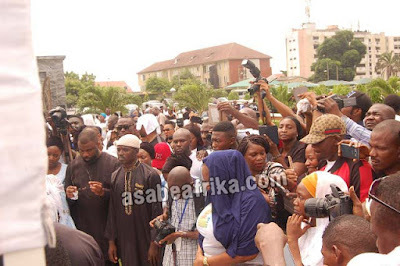 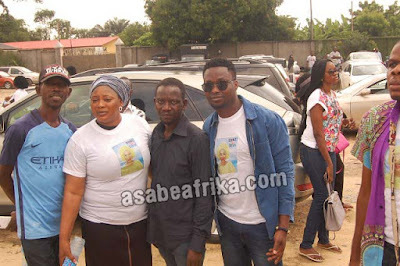 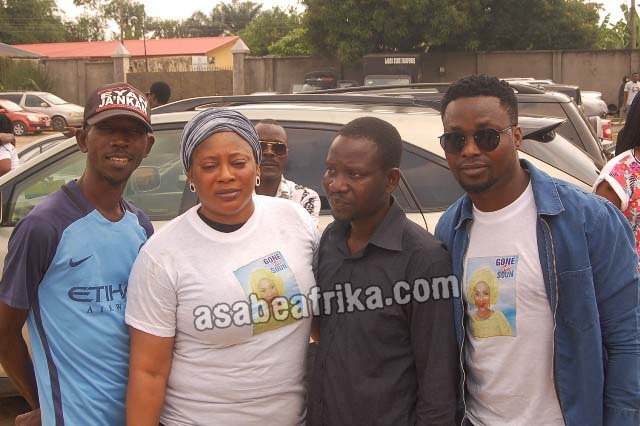 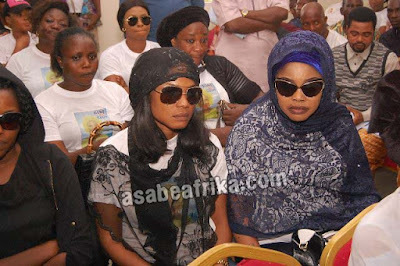 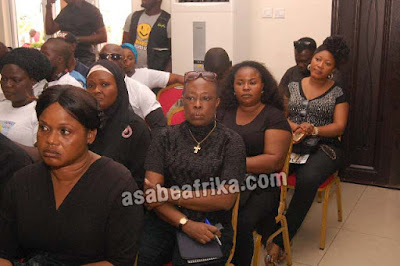 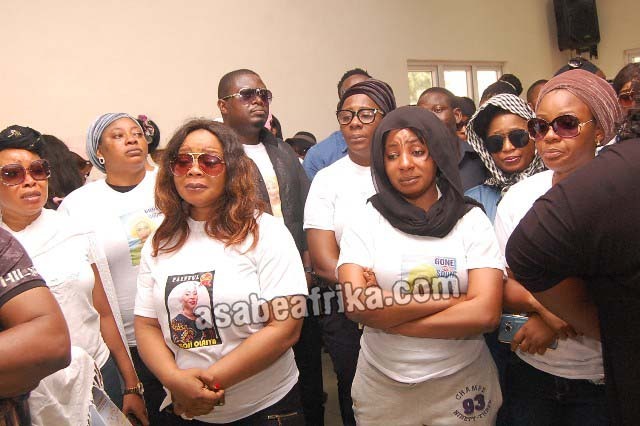 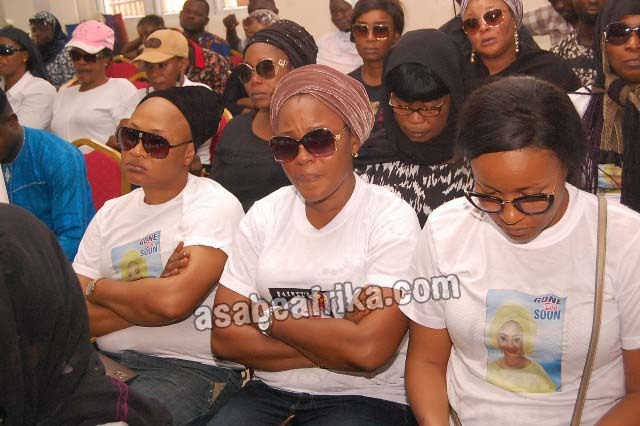 Famous Nollywood actress, Moji Olaiya, was interred last Wednesday, June 7 at the Ebony Vault burial ground in Ikoyi, Lagos—South Western Nigeria. 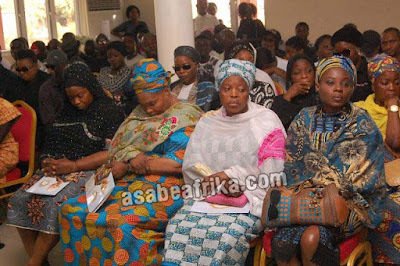 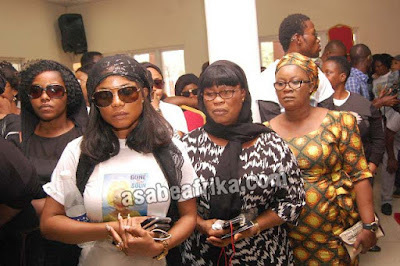 The venue of the funeral was filled with people from all works of life as colleagues, friends and family of the late actress gathered to give her the very last respect on planet earth. 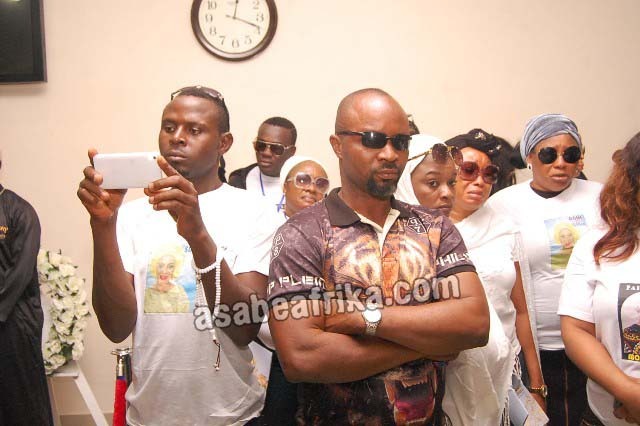 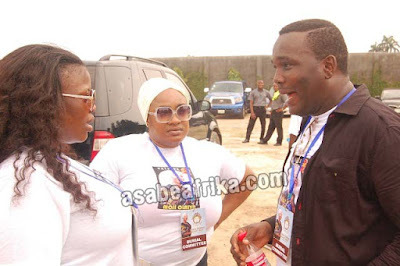 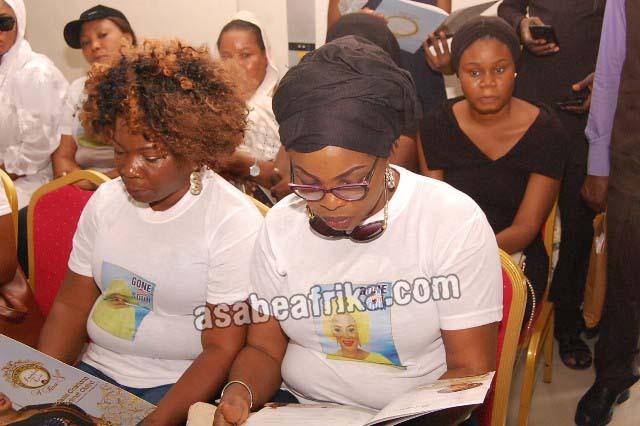 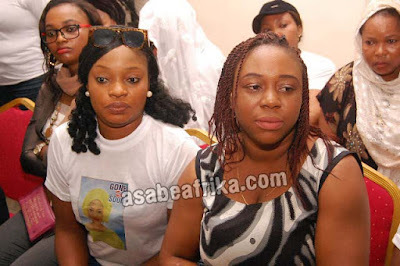 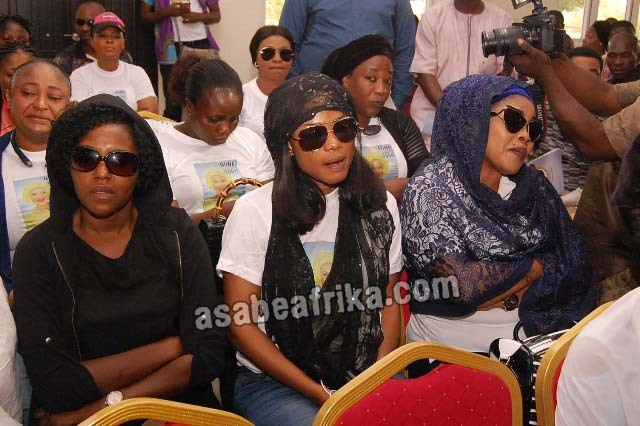 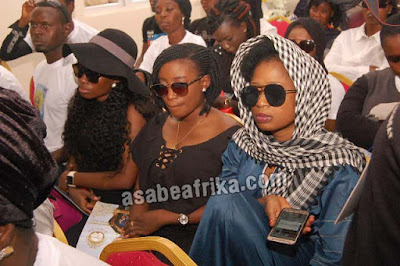 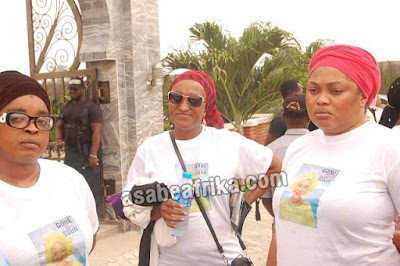 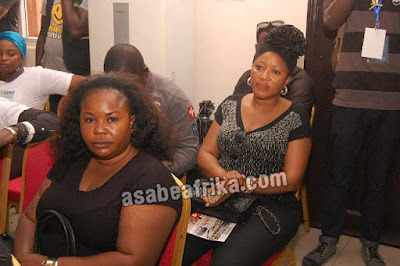 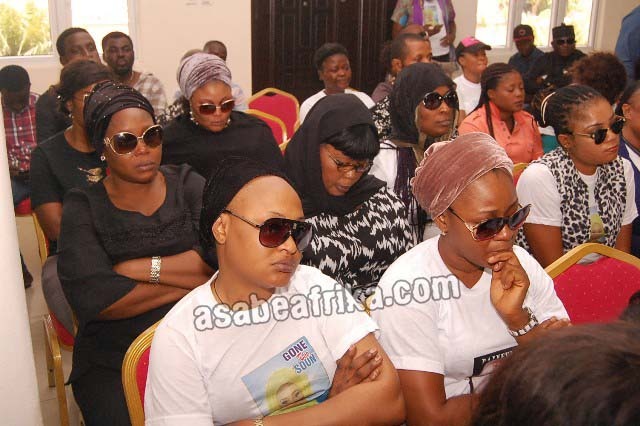 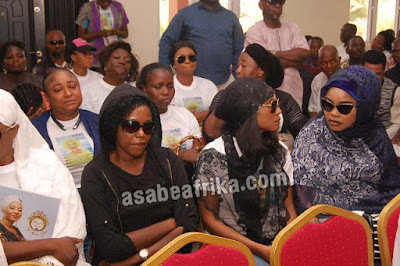 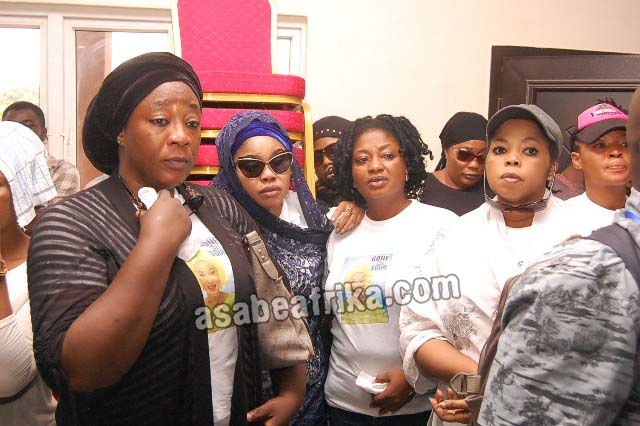 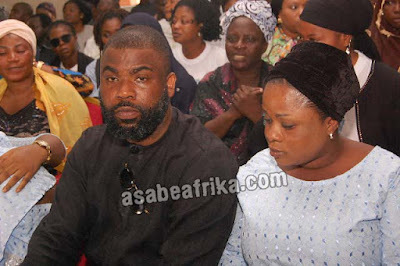 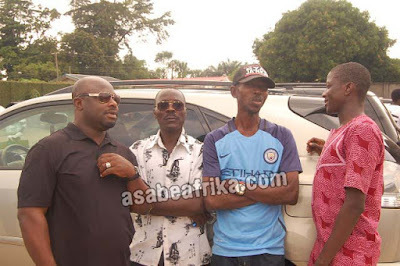 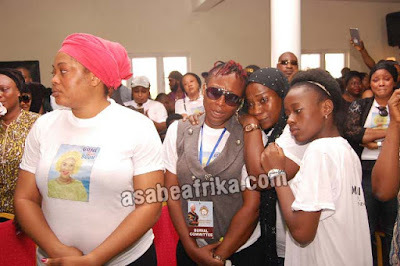 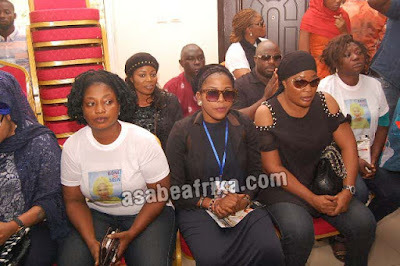 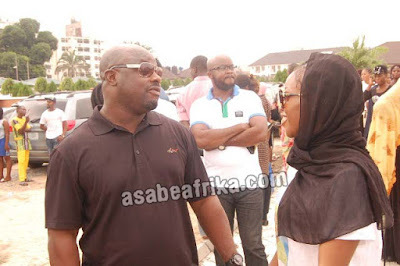 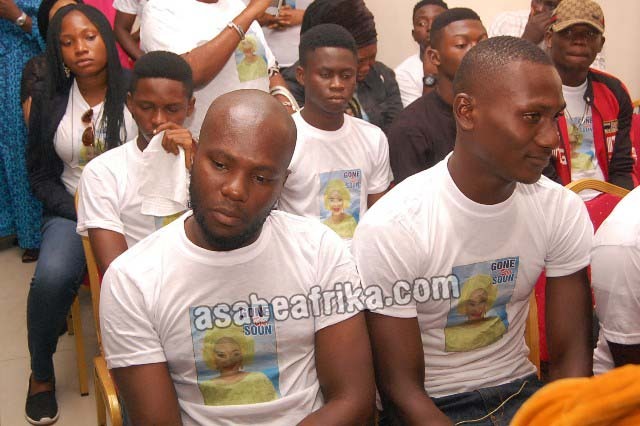 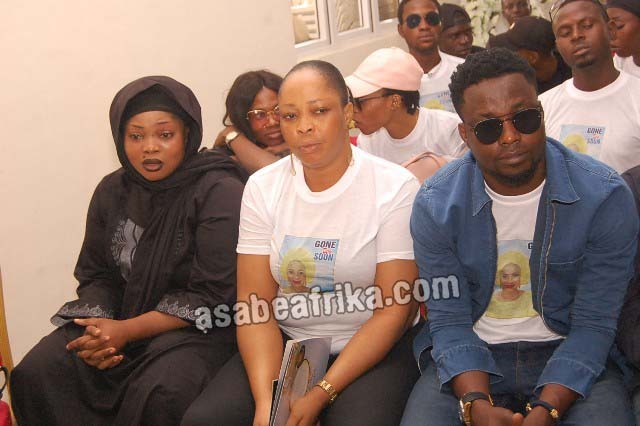 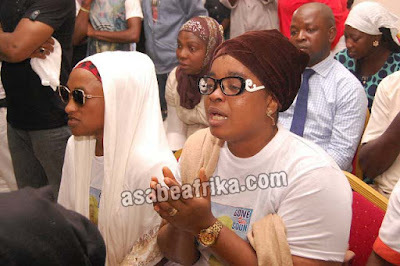 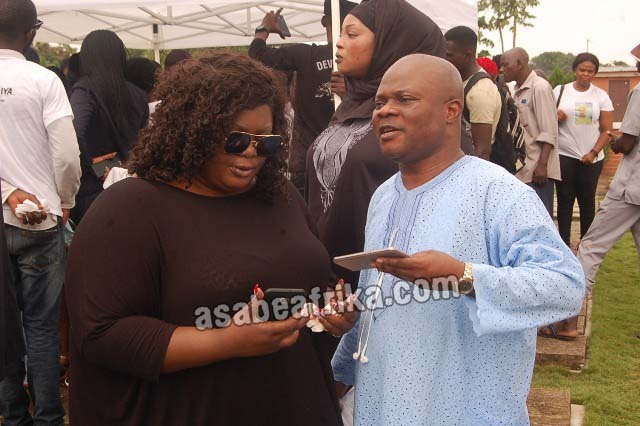 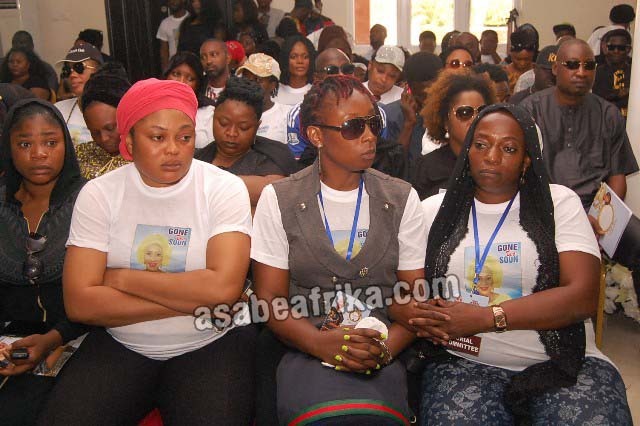 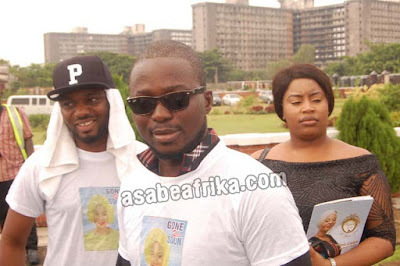 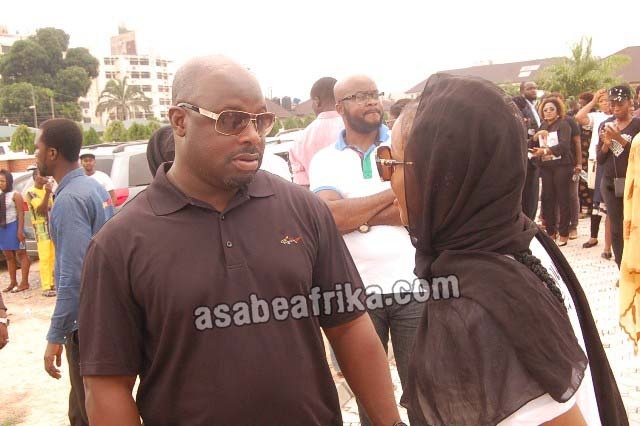 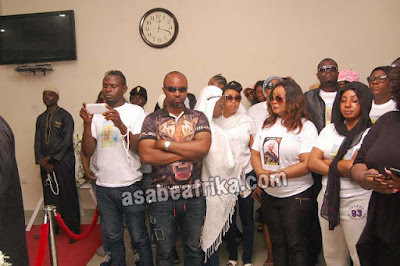 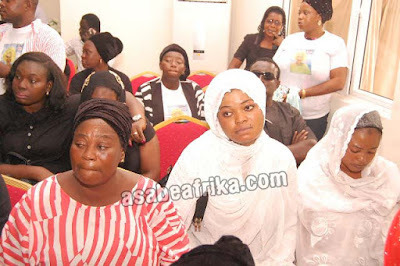 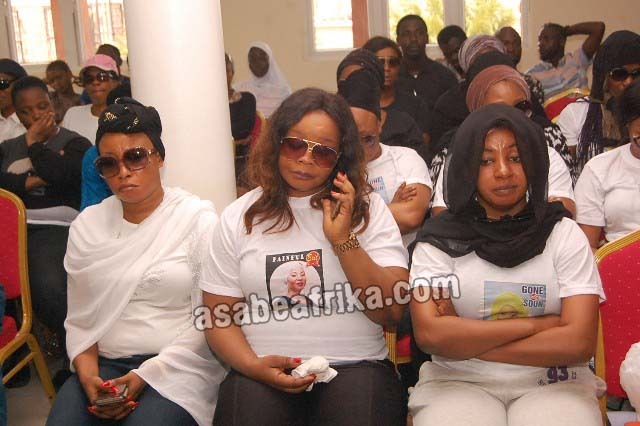 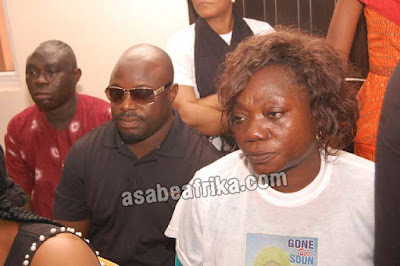 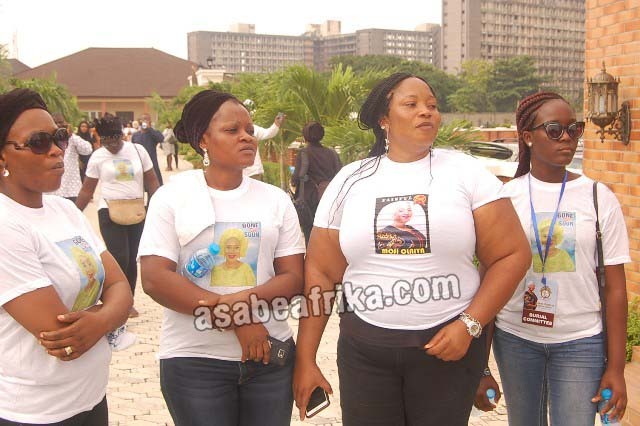 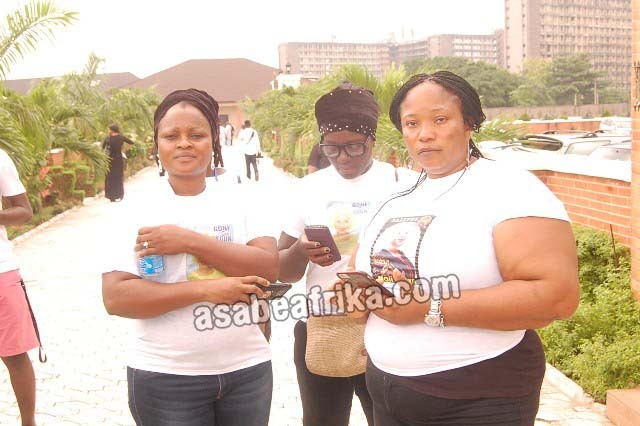 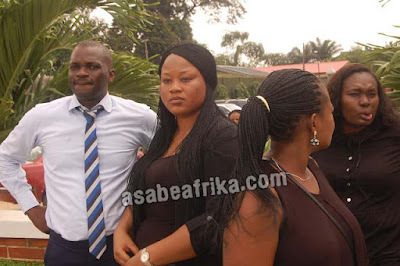 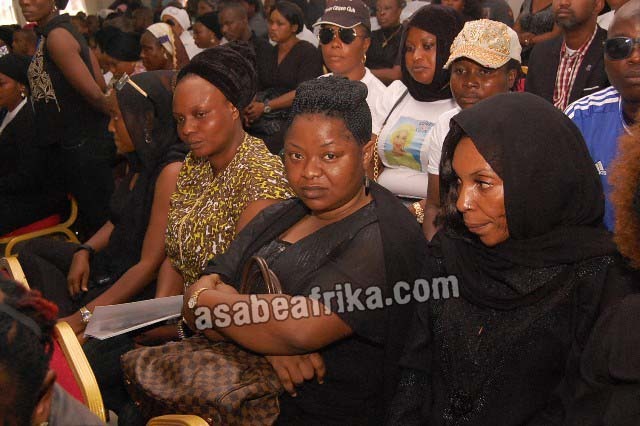 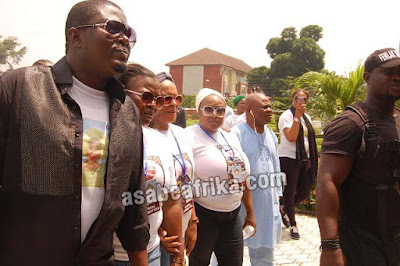 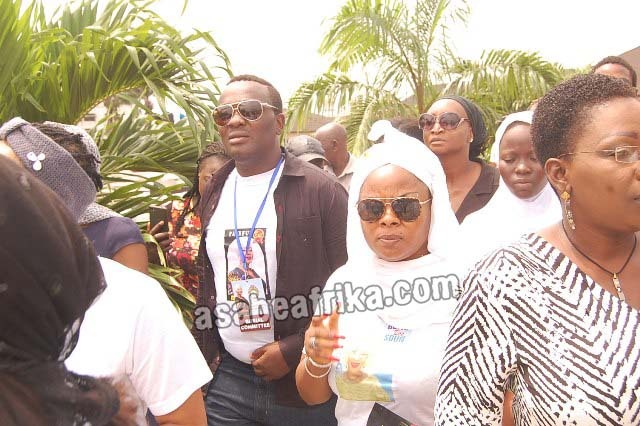 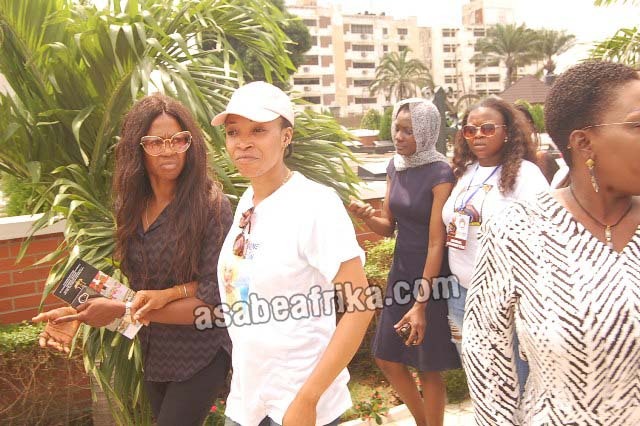 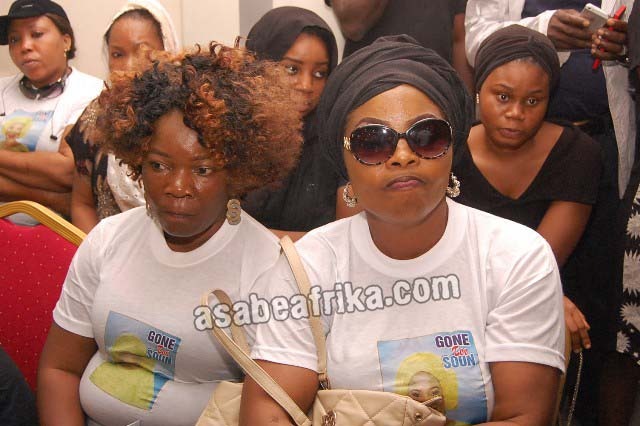 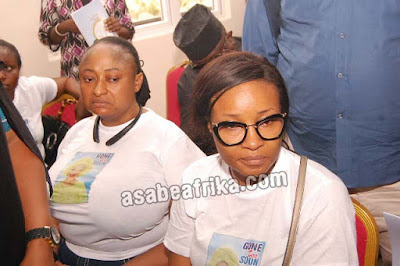 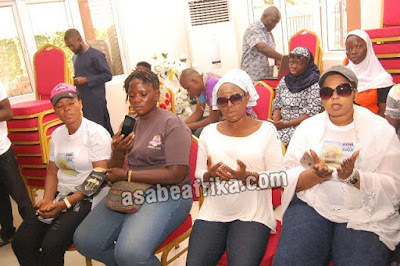 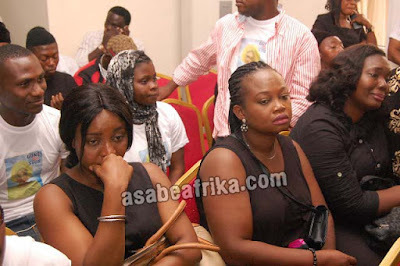 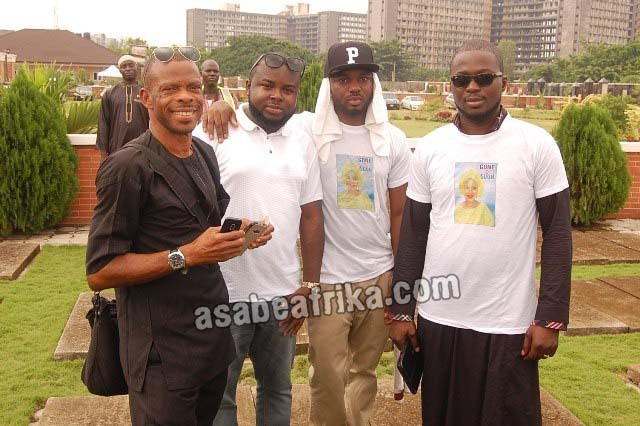 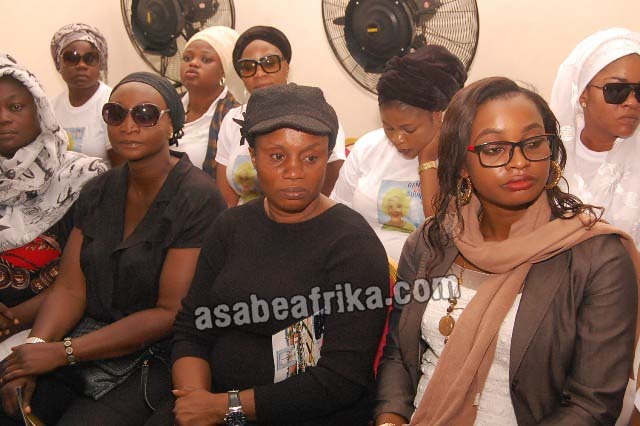 Moji Olaiya’s 18-year-old daughter, Adunola Faronbi was at the venue with other friends of her late mother. 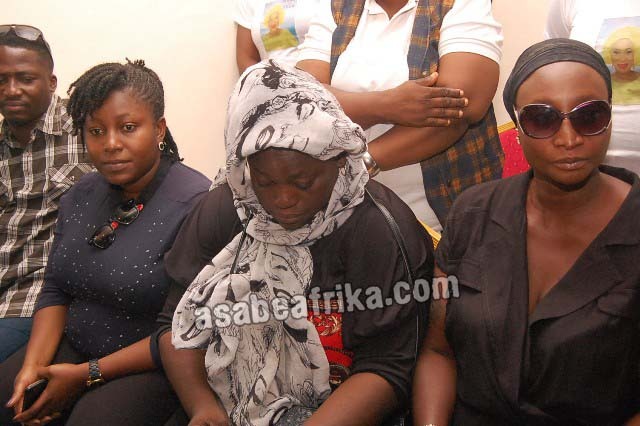 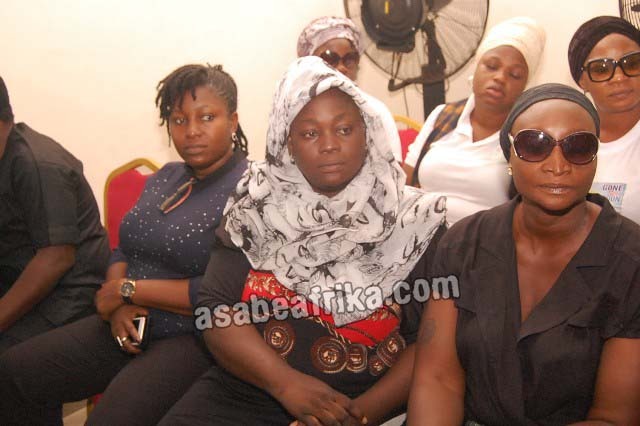 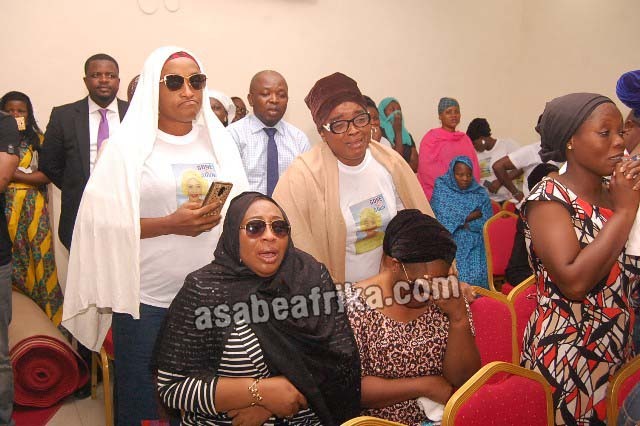 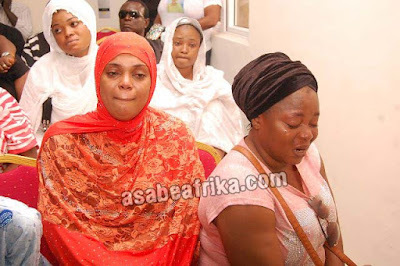 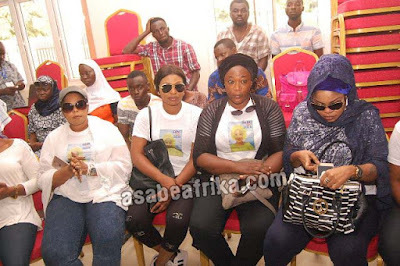 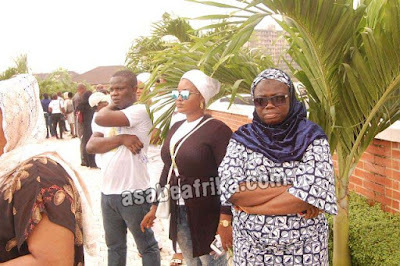 Her body arrived Nigeria via Muritala Mohammed International airport, Lagos—South Western Nigeria from Canada a day earlier and was buried at the Ikoyi cemetery according to Islamic rites on Wednesday June 7. 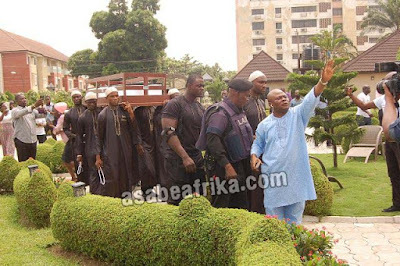 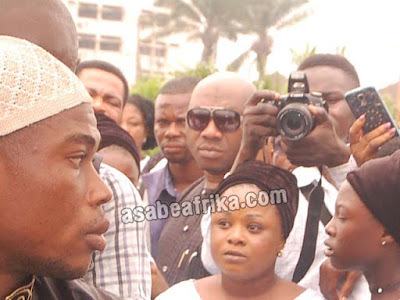 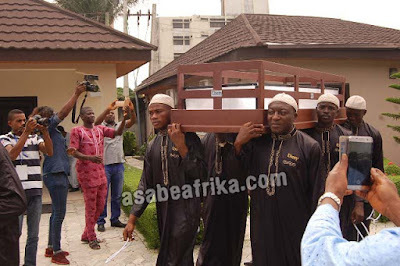 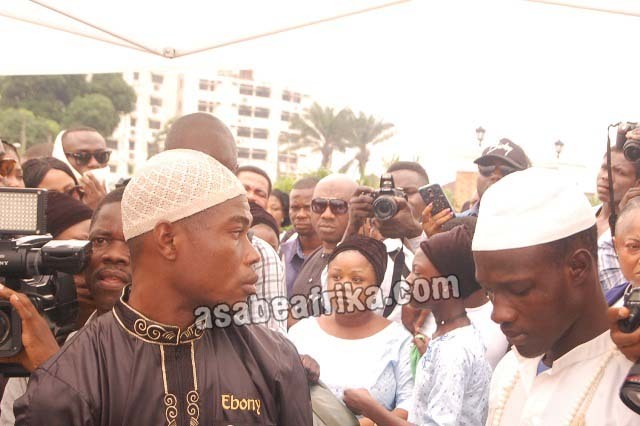 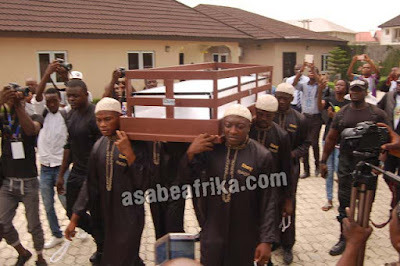 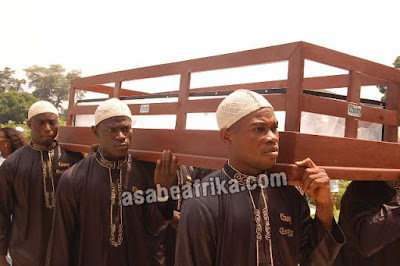 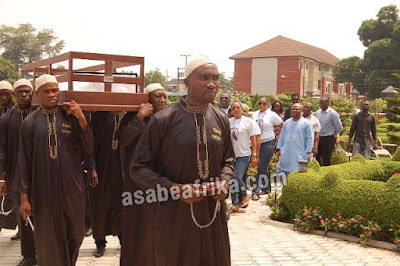 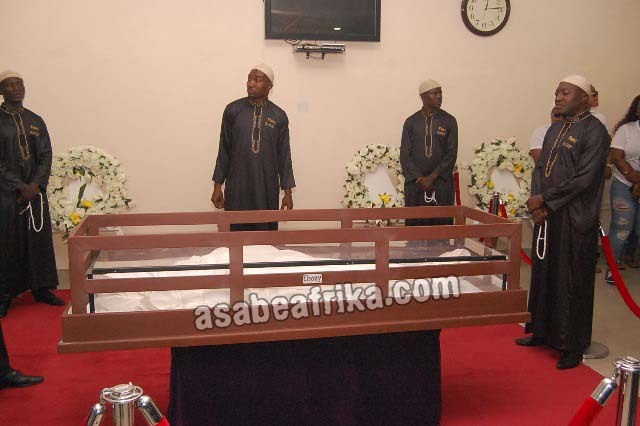 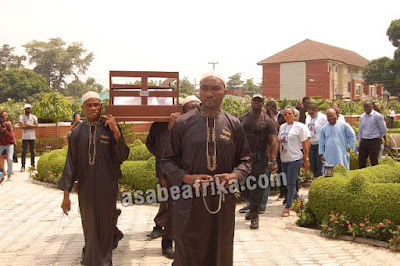 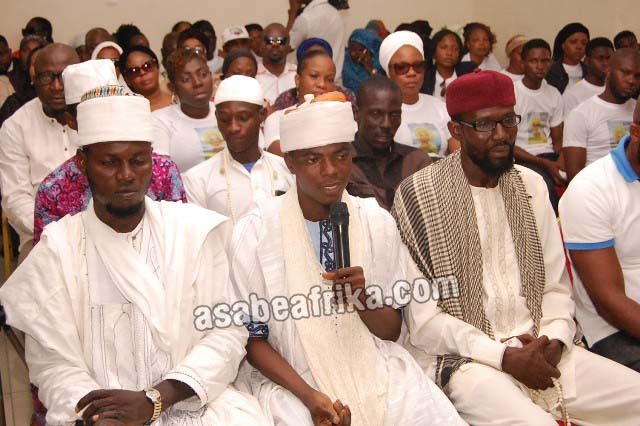 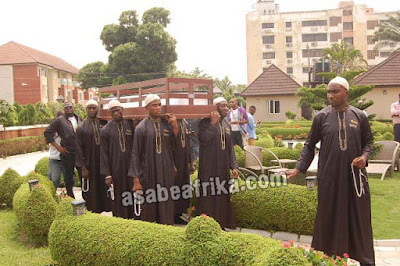 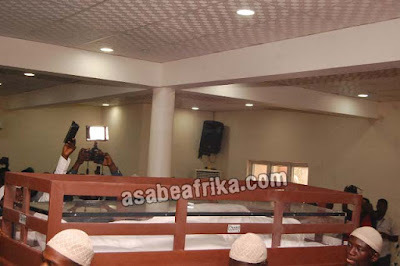 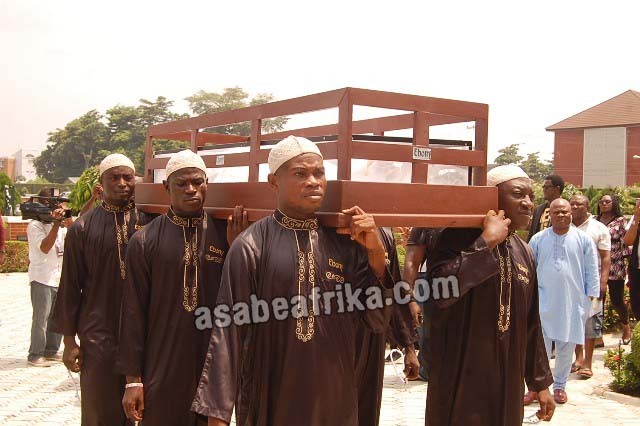 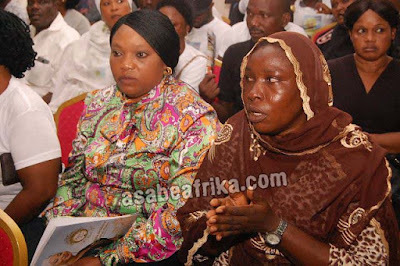 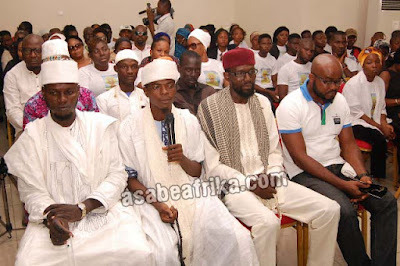 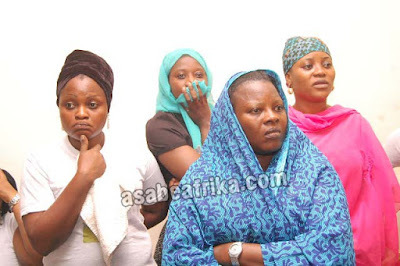 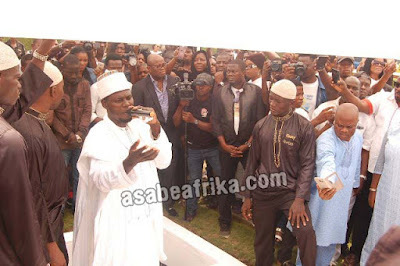 Olaiya, 42, was placed in a Muslim casket as six men dressed in Muslim attires (brown Kaftan) with the lead man holding a tesibiu (Muslim’s praying rosary) carried her remains which was wrapped in a white clothe and placed in a brown see-through wooden casket . Her body was met by mourners who filled the hall to capacity and wailed as they saw her remains arrive. Prayers were offered for the repose of her souls at the Ebony funeral Palour at the cemetery. 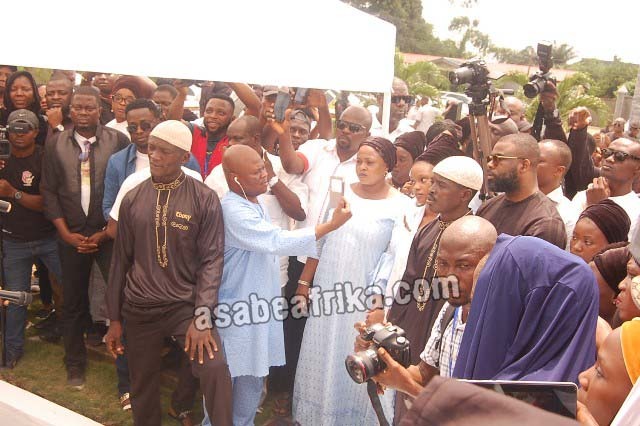 Mourners struggled just to get a glimpse of the late actress, whom many described as humble as the Muslim faithful among them exclaimed Inna lillahi wa inna ilayhi raji’un (We belong to Allah and to Him we shall return). 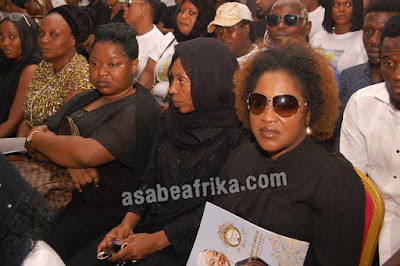 Moji Olaiya died on May 17, 2017 following a cardiac arrest, three months after she was delivered of a baby girl in Canada. 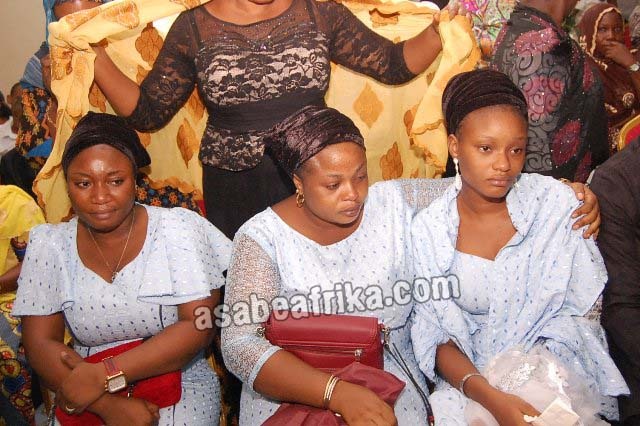 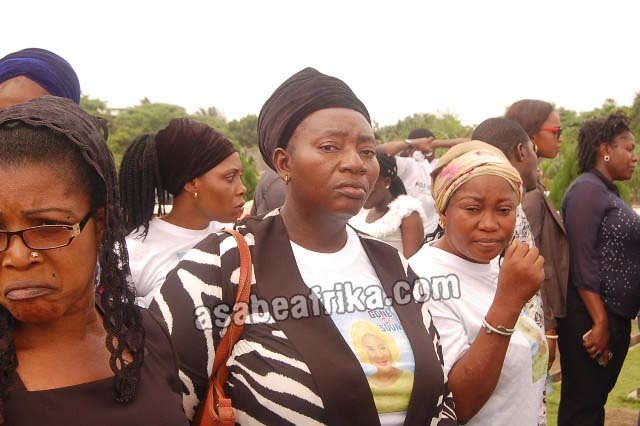 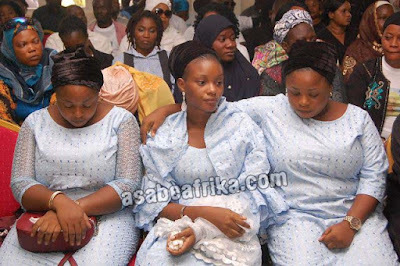 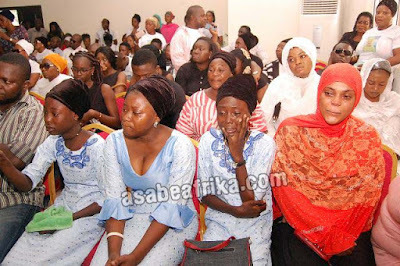 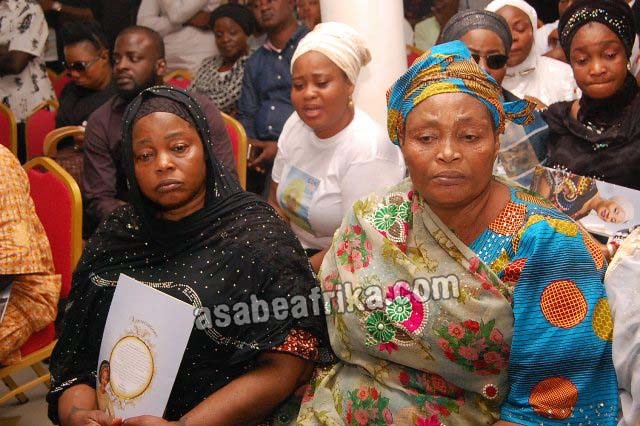 Olaiya’s colleagues, friends and family members wept bitterly at the funeral. 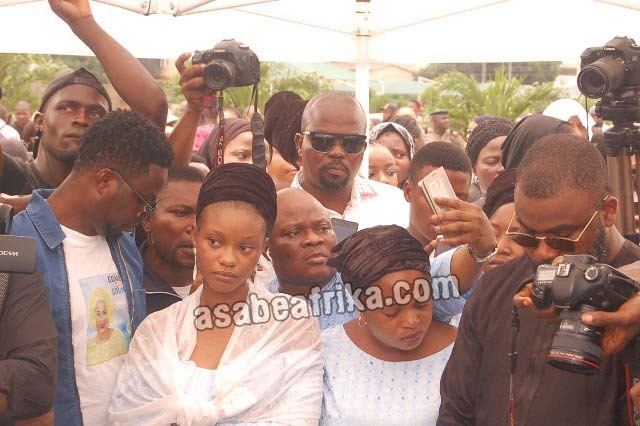 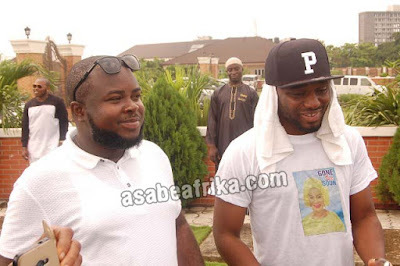 An actress, Keji Yusuf, said Olaiya was like a daughter to her, describing the actress as a very good person. 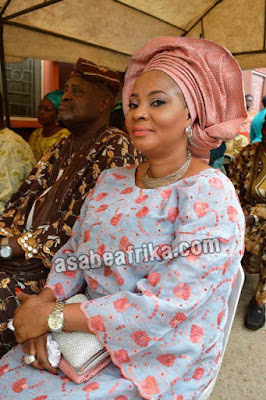 “She is fun to be with. 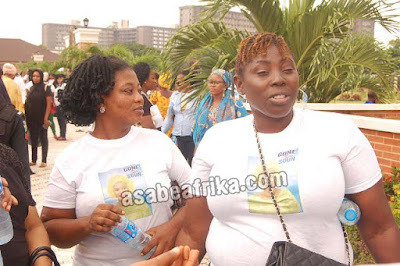 Her good smile, gentle manner, soft way of speaking will endear you to her. She was a nice and respectful person”. Yusuf consoled Olaiya’s family, especially the mother to look up to God for help to train the children the actress left behind. 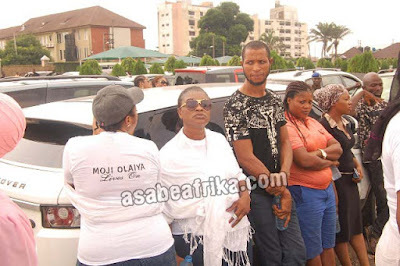 She also advised Olaiya’s mother not to wait for anyone’s promises because they might not fulfill them. A famous actor, Muyiwa Ademola, popularly known as ‘Mr. 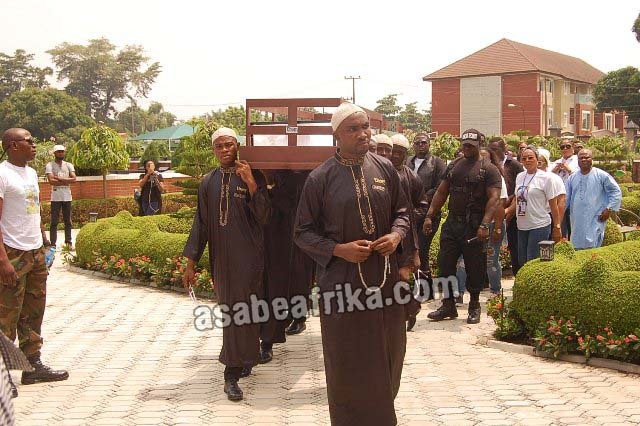 Authentic’, said that Olaiya cared for everybody. 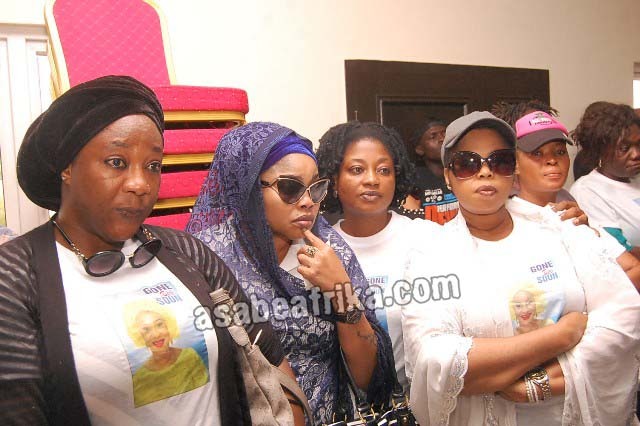 “She is a down to earth person, no matter who you are. She carries people’s problem as if it is her own, she cannot be compared with any other person”. 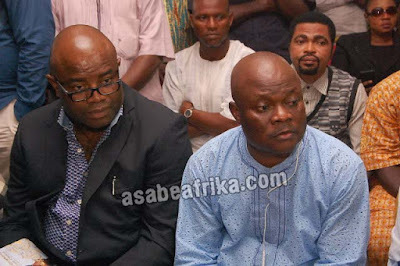 Ademola, however, advised the family to take Olaiya’s death as how God wanted it “we cannot query Him” the actor emphasized. 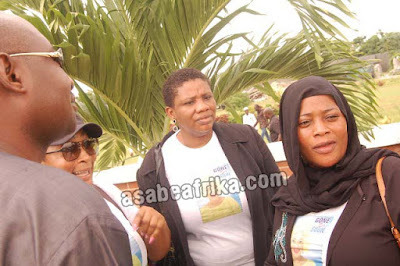 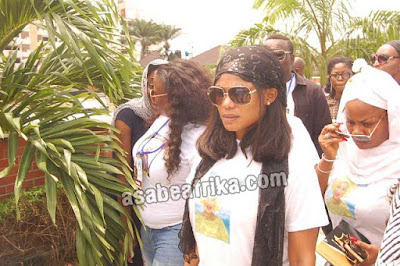 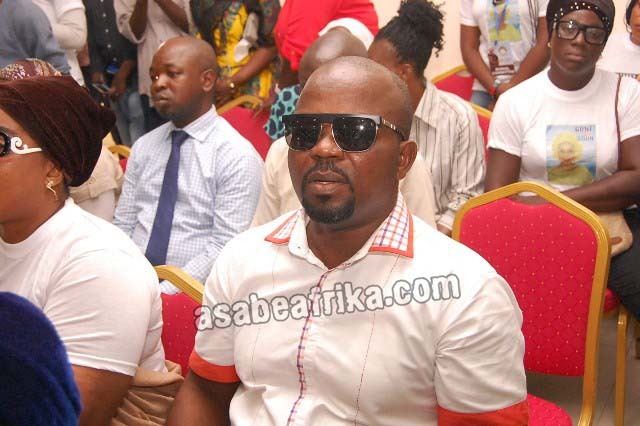 Actress Fathia Balogun, said that Olaiya was irreplaceable. “She is my sister and everything anyone can be to any person. In fact, I do not have the strength to talk about her being late; it is still like I am dreaming”. 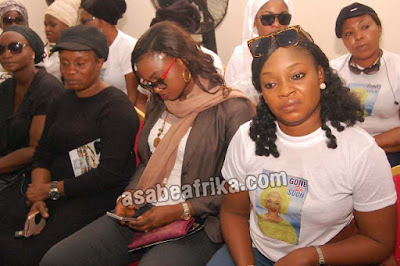 Ronke Ojo-Anthony, better known as “Ronke Oshodi Oke” said that Olaiya’s humility was beyond her, because she humbled herself to everyone no matter the age. “She is like a sister to me, even when we fight, she will be the first person to call. She was full of life but she does not joke with her daughter’s school fees, if you want her to buy something. 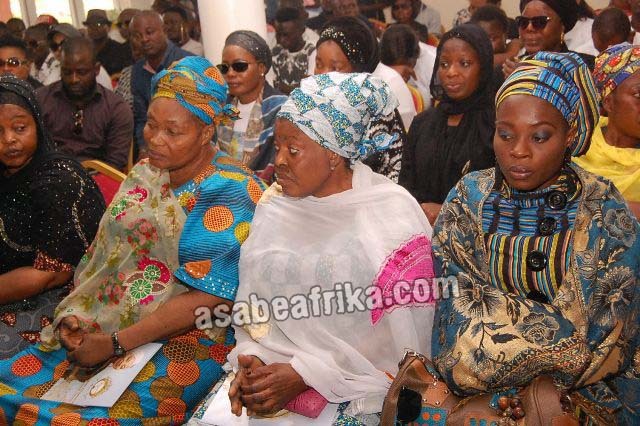 She will tell you to wait until she pays for her daughter’s school fees, when she did that she would buy whatever she wants to buy, I remember her for that. 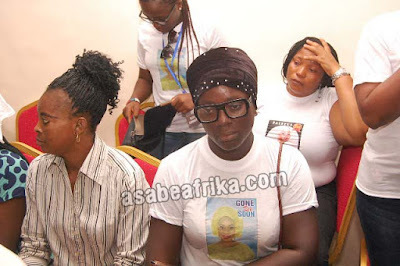 She was more than good”. 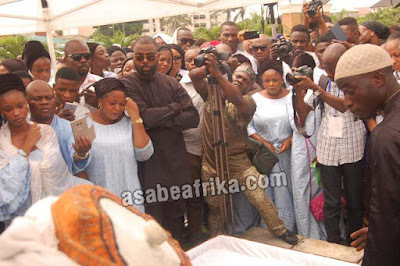 Ojo-Anthony added. Moji Olaiya was the daughter of a younger brother of the legendary Nigerian highlife maestro, Dr. Victor Olaiya. 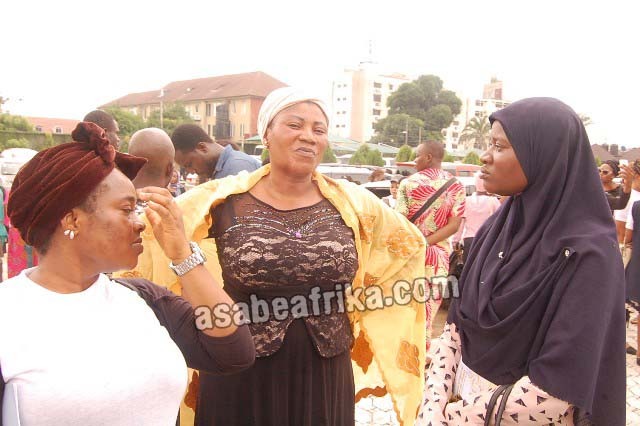 She converted to Islam in 2014. 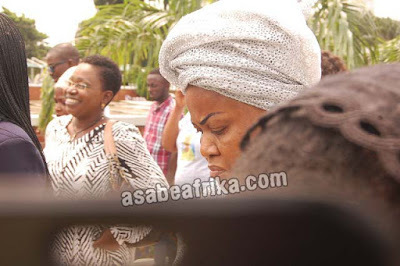 Her acting career started with a feature movie “Sunmibare”, which was produced by Dimeji Ijaduade, before she took a role in Wale Adenuga Production’s Super Story series, “No Pain, No Gain”. Olaiya starred in many Nollywood and Yoruba movies, among which are: “Sade Blade-2005”, “Nkan Adun-2008’’; “Omo Iya Meta Leyi-2009”; “Agunbaniro” and others. 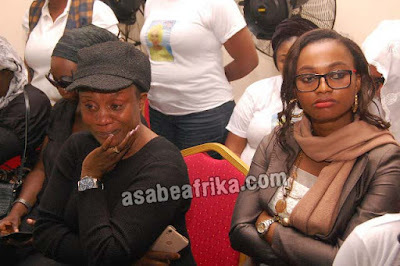 She produced a film “Iya Okomi” which premiered in 2016. She won some awards and was nominated for the Reel Awards for Best Supporting Actress of the Year- 2003. In 2015, the FCT Command of the Nigeria Police honored her as a role model for youths.